I created and produced the Coca-Cola Olympic Torch Relay Show, an experiential event that toured 43 states (Los Angeles to Atlanta) in 84 non-stop days. I wrote the emcee script, edited show videos and directed live TV for the local NBC affiliates at the twice-daily cauldron lighting ceremonies. Read the full story. The largest sampling day in PepsiCo history. I wrote the Field Activation Guide, a step-by-step training manual that transformed the staff at the bottling plants into street sampling teams. Over 9,000 employees activated in 135 markets. Five million samples distributed in a single day. I shot and edited the NYC event. Read the full story. I scripted the Guinness Believer Show – a 360˚ immersion into all things Guinness, hosted by a live emcee. 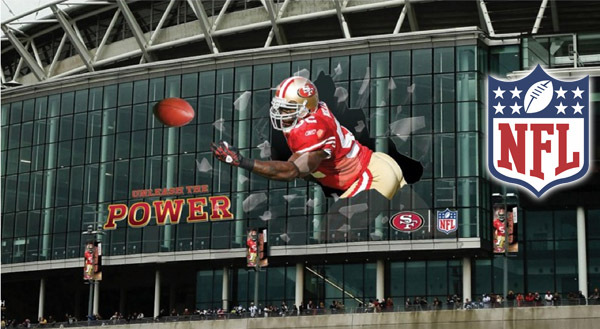 It was presented 306 times in 12 major cities, totaling over 34,000 attendees. I also shot and edited a "Sneak Preview" invite video that significantly increased attendance. Take a look. Good times in Panama City Beach, FL. Ruled the beach by day and the clubs at night. I edited a series of popular social media posts that brought the Spring Break celebration (and the Trojan condom messaging) worldwide. The on-site Experiential Manager was Ivan Rodriguez. 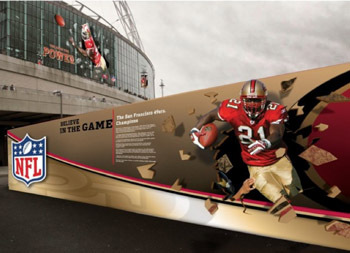 Created promotional and stadium concepts for the NFL International Series game held in Wembley Stadium, London, England – San Francisco 49’ers vs. the Denver Broncos.